I don’t have a big family in the States. It really only consists of my small immediate family of four. And even then, the only family member D has met was my mom, over a couple of quick meals. So it’s accurate to say that he had no idea what he was in for when I brought him to China. 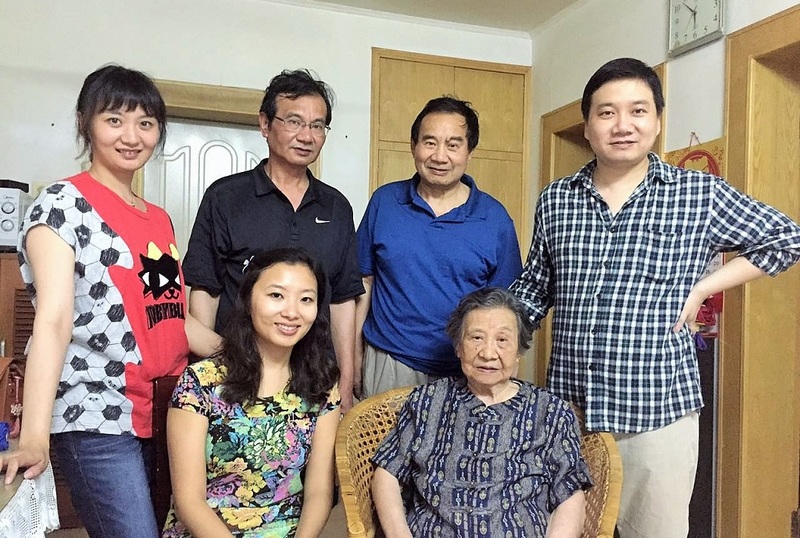 And then all of a sudden, in the span of two months, he met and spent a significant amount of time with both my mom’s side of the family in Beijing and my dad’s side of the family in Wuhu (more on this in an upcoming post!). I don’t have the largest extended family, but what they lack in size, they make up for in enthusiasm. I think meeting my family in China was quite the shock to D, who’s unfamiliar with many of the Chinese ways. 1. Whenever you’re invited to a meal, even if it’s just a small, light snack, expect it to be an entire table-spread of food. Because too much food is better than not enough food, or even just-the-right-amount food. Even if the food is delicious and you’re starving, you’d best pace yourself. Eat slowly and never to completely full, because without a doubt, her family will be piling your plate with food throughout the meal. And you absolutely cannot refuse. 2. And if they see that you’re not eating, that most certainly means you don’t like the food. No, it cannot possibly be because you’ve just been force fed and now you’re so stuffed that you’re on the verge of throwing up. grandma’s cooking is the best! 3. And when you leave, you will be given all the leftovers along with bags of other snacks and foods. Because they are perpetually worried that you don’t have enough to eat. Or that you’re incapable of finding food on your own. 4. If you mention the slightest hint of feeling sick, her family will offer to take you to the hospital. And if you refuse (because stomach upsets or runny noses can totally be managed on your own), they will at the very least run out to buy you some medicine. 5. They will always be worried about your current state. Are you hungry? Cold? Are you sure? It’s a little windy and you’re not wearing a jacket. Do you have an umbrella? It may rain later. Is the AC in your room working? Are you tired? Do you want to lay down for a little bit of nap first? Oh look, you just yawned, better go take a nap. 6. You’ll have to learn + memorize a thousand different names to refer her family members by. 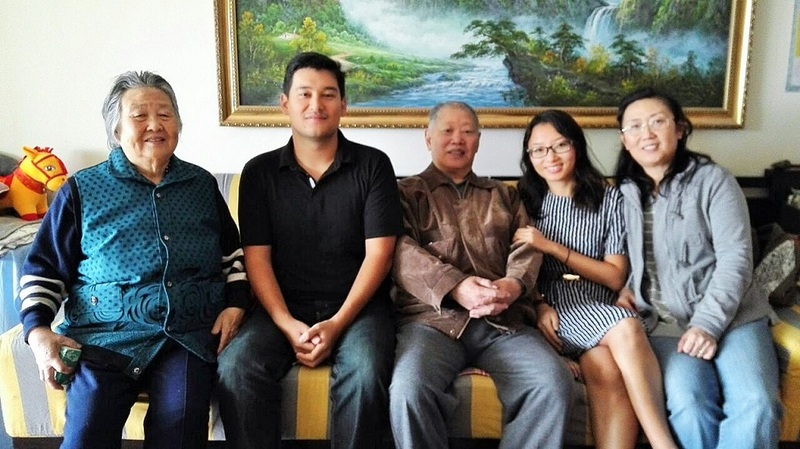 Unlike in English, where it’s just grandma or aunt or uncle, in Chinese, each family member gets a different name depending on the relationship to her. Grandma on the mom’s side is laolao, while grandma on the dad’s side is nainai. There’s a different name for literally everyone: mom’s brother (jiujiu), mom’s brother’s wife (jiuma), dad’s older brother (dabo), dad’s younger brother (shushu), etc. etc. You get the idea. 7. Expect any outing to end with a fight for the bill, an act that the Chinese takes very seriously. (You can go to any restaurant and observe this phenomenon. It gets pretty intense sometimes.) Her family will whip out their wallets at the first mention of the bill, even for something as simple as a bottle of water. You can fight to pay your own way, even shoving your money into the cashier’s face, but nice try. Ever try to fight for payment with a Chinese before? You won’t win. Chinese families are not known to be overly affectionate. Unlike the constant hugs and murmuring of love-you‘s from Western families, Chinese families don’t usually greet each with physical contact or easily offer verbal endearments. But they show that they care in a million other little ways. It’s in the way they worry about your health and the way they always make sure you’re well fed. It’s the supreme generosity they show and the way that they give without expecting anything in return. 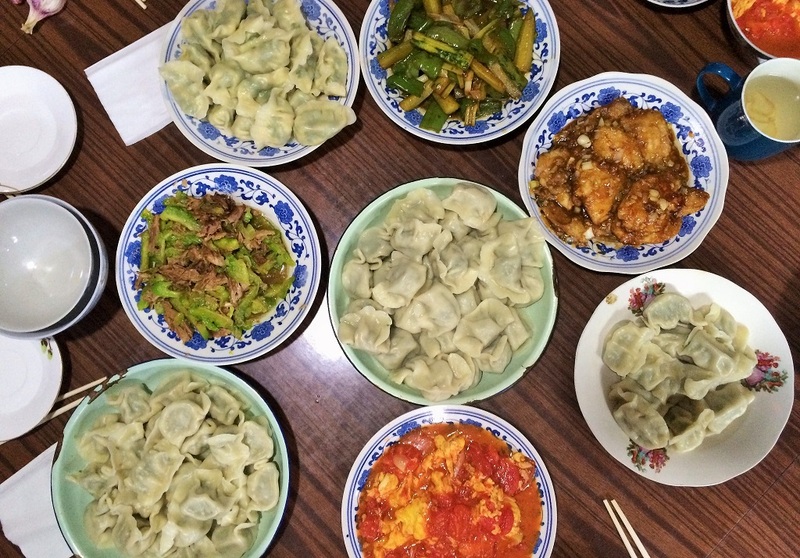 Have you experienced Chinese hospitality before? This is great! I find it really interesting to read about how different cultures show affection, and all of the food based points definitely sound familiar from Chile too! I end up being fed too much, ha! Everytime we ate with my family, afterwards D would say that he’s sooo stuffed but my grandma kept on feeding him! I like that Chile is the same way, hehe. The hospital one cracked me up! Too cute. Seriously! D was feeling a bit down (just general fatigue & runny nose), and they asked at least 3 times if he needed to be taken to the hospital! They even offered to skip work one day to take him! Wow… 5 times! Hehe as long as you like their food, they will love you! They all loved D because he ate everything and attempted to speak in mandarin to them! Aw, #4 is so sweet! And wow, #6 would be so confusing for me. I’m so bad with names already. Haha, the fight to pay the bill sounds hilarious! Don’t worry, I still don’t even know all of the names. Luckily, my extended family isn’t huge either. The Chinese really takes fighting to pay the bill very seriously! I still can’t win against them! Awww this is so cute!! I bet he had the time of his life. Imagine a family with no quirks! So boring :) The more loving the better! Chinese families are really loving in their own way :). I’m so glad to be able to introduce D to them finally and he really loved them too! Great post! 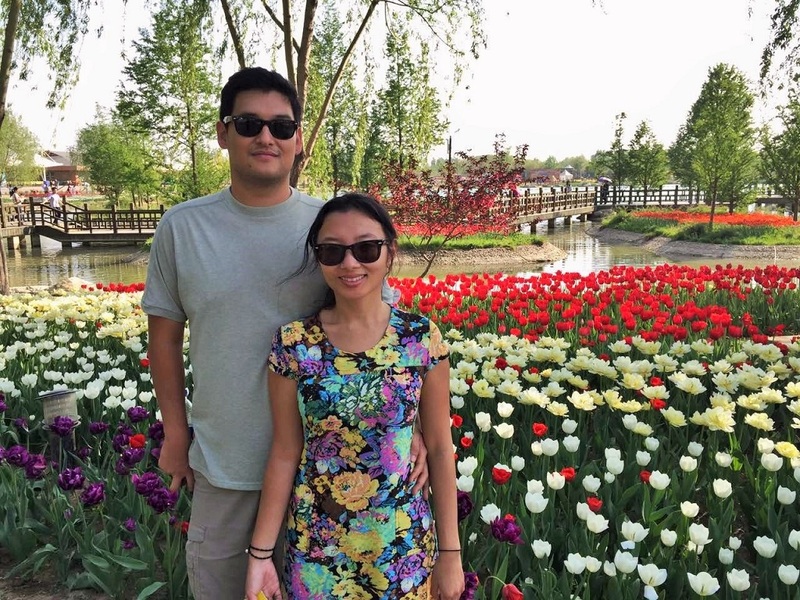 I’ve experienced all of these things just as an expat in China. I’m moving back up North to Beijing in September. So excited! That’s so cool!! Have you lived there before? And isn’t chinese hospitality the best? Hehe. i think he did! Luckily my family isn’t too huge in China either so we don’t have to use every single name, hehe. Chinese hospitality is crazy… we’ve met such generous people here who treated us to meals even though we’re practically strangers! All of these things are so familiar, even with Taiwanese families, haha. OMG. I have a story about the bill-fighting. Once, my GRANDPA and his BROTHER chased each other all across this one fancy buffet place, using other tables as barriers, etc, for about 20 minutes. Since (most) everyone there was Asian, they didn’t even bat an eye. His brother won by harassing our waiter while my grandpa was in the bathroom. These fights are serious, yo. Haha! That is too funny! We saw a fight where the man took the woman’s purse and ran away. I can never win these fights! What my family lack in affection they don’t even make up for in good food… it’s a bit of a disappointment to be honest. Family and culture always fascinates me! I love that you took matters into your own hands and wrote D’s guest post lol! I really enjoyed learning more about your extended family in China and the culture there. I love the part that you get leftovers to take home with you (even after such a huge meal)! I went home to visit my family in NJ the first weekend I was back in the States, and I was so happy to come back to NYC with a huge bag of leftovers, which meant I didn’t have to cook dinner for a week! Though with all the food and generous hospitality of your family, you probably were full for quite a while without needing to go into the leftovers stash! Yeah leftovers are the best! And every time we went over to my grandma’s, she sent us back home with leftovers and bags of snacks and stuff. For the first couple of weeks, we rarely had to go out and buy our own food, haha!